JP and I are Road Captains of our local HOG Chapter and a while back we mentioned we were going to do a SS1600K and were happy to take a long a few members who might like to have a crack at an IBA ride. We could do what we could to help them through the day and the maze of paperwork, which can be daunting for a first timer. We got two starters on bikes and a pillion, Krisitilee, JP’s wife. On Friday the weather was bad and the forecast for the ride was worse, what’s a monsoon anyway? So we decided to go, 4am for the paperwork and a 4.30 start at the BP Beresfield. The weather outside was dreadful as I was getting ready to leave. 3.15am the phone rang, one less rider going and I couldn’t blame him. The hardest part for me when the weather’s that bad is to ride out of the garage into it, you all know what I’m talking about. Then once you are out, well you are riding so it doesn’t matter! A first for me this morning though, I put a set of H-D plastic wet weather gear on over the KLIM Latitude goretex jacket and goretex pants. I wanted to keep the water out as long as possible. Somewhere between Marulan and Yass the rain turned to showers, the showers to overcast and by the time we go to Wagga Wagga the sun was out. 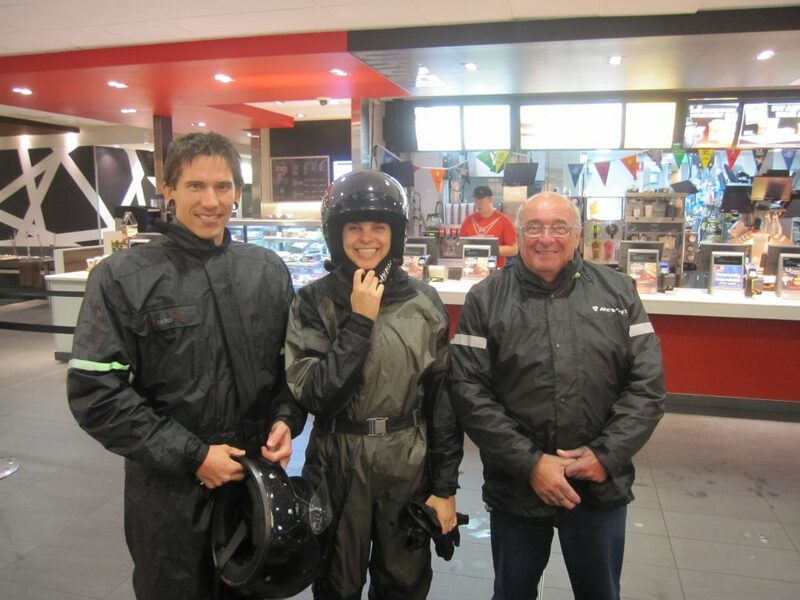 We stopped for fuel, ate a little, slipped out of the wets and refreshed ourselves ready for then next 1000kms or so. 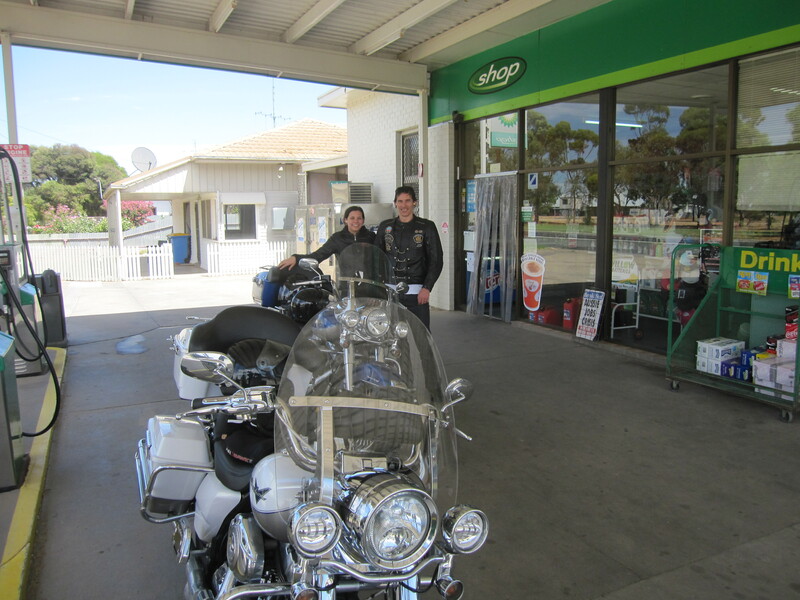 Then to Gillenbah for a corner docket where we happened across some Central West HOG Chapter members who had been riding around Tassie for a couple of weeks. They couldn’t really understand why we were at Gillenbah while riding from Newcastle to Newcastle and kept asking where we were staying the night. You get that! 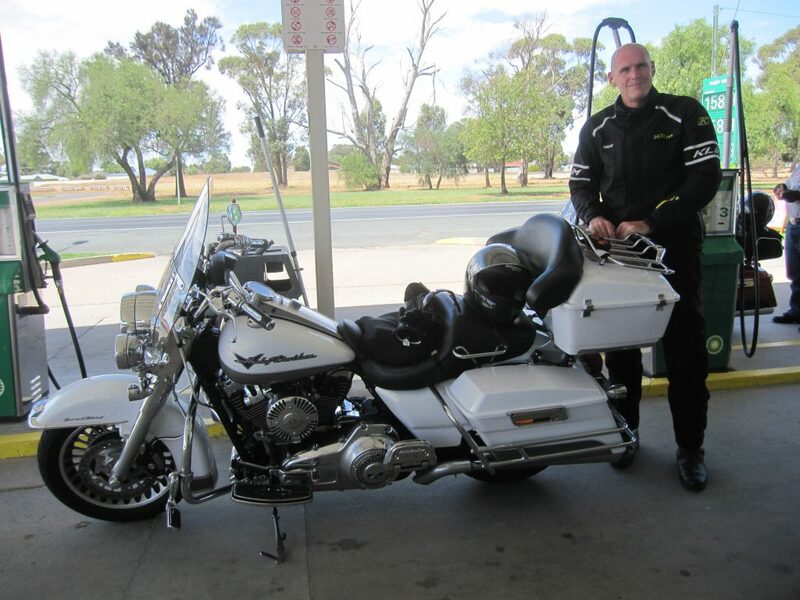 After spending the last six months fanging around Australia on STEN it was really fantastic to be back on the big Harley, effortlessly munching the k’s, relaxed, legs stretched out, plenty to room to move, calmed by the deep sound of the 1700cc V-Twin. Between Finley and Albury the sun was out but we rode through a few light showers that didn’t raise an eyebrow. 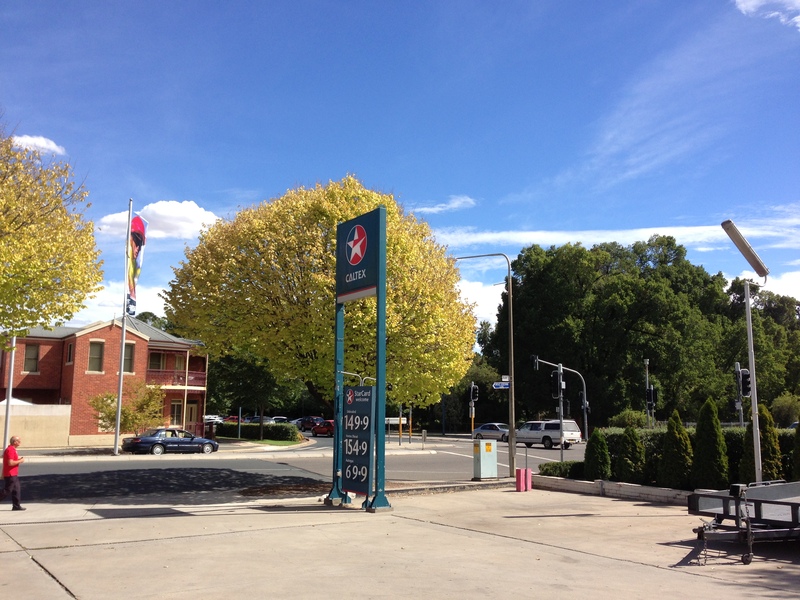 We fuelled up in Albury with two more stops to the end of the ride. Just short of the 1000k’s when the mind can play tricks on you. 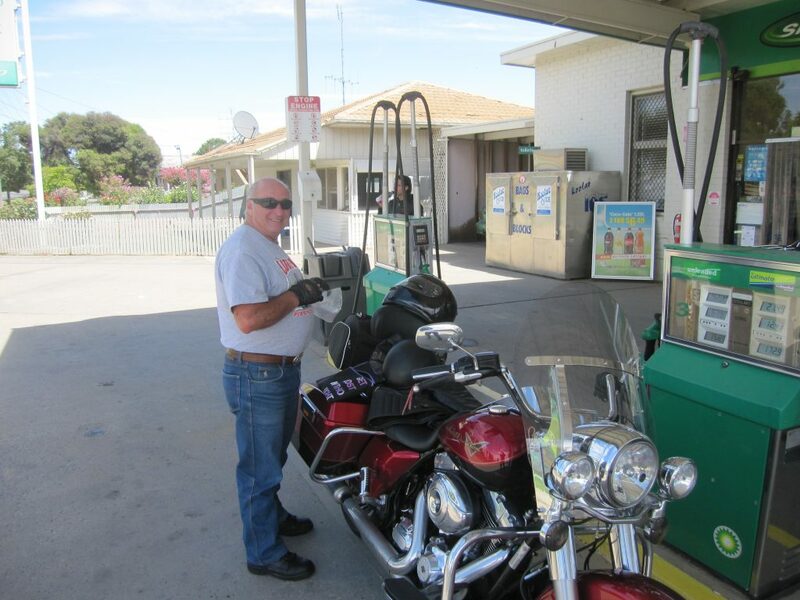 As we were riding out of Albury Dave panicked and told us he’d forgotten to get a receipt where we fuelled up. We were still in town so I told him to go to the servo across the road and grab one. He rode over, went inside and started to walk back to us. Realising he’d forgotten his bike he went back to the servo and rode out another entrance ready to turn right and join us back on track. We rode across the lights and waited for him, the lights changed and he didn’t come around. 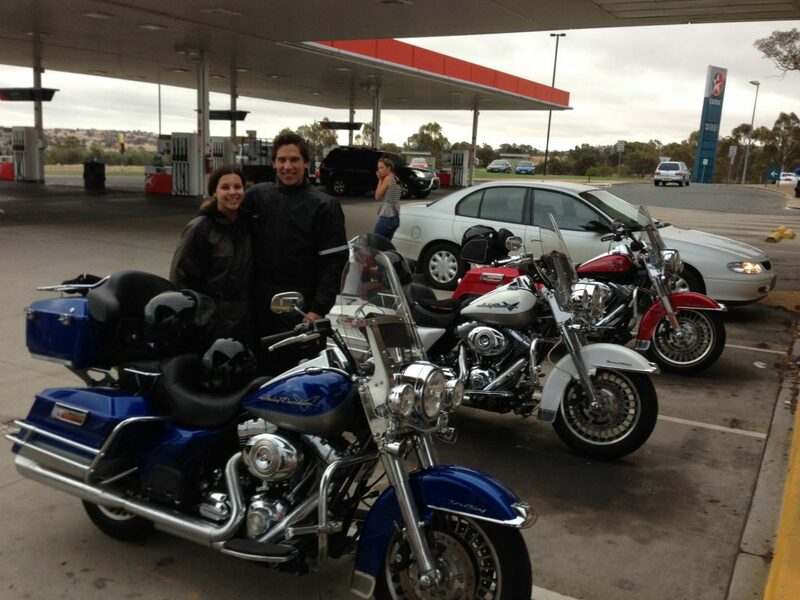 We waited, no Dave, so I rode back and he was back in the servo. Forgot to get a docket. We’ve all been there. Here’s JP and KL with the red, white and blue Road Kings at Yass. I took the lead and 10 minutes out of Yass we hit the rain, not too bad at first but as the sun went down the rain got heavier and and it didn’t stop for the 275k’s or so to Thornleigh. I was acutely aware of the two bikes behind me who were following my tail light and with the conditions and the traffic there wasn’t a moment to relax except for the odd time I pulled in behind a car to reset my head, take a breath and hook back in. A strange thing happened at Thornleigh. I was elated when we got there, it was tough going, but I was concerned about how the others were going. As the helmets came off I saw JP with a huge smile on his face, KL too, and Dave was grinning ear to ear. We ran around the servo high five’ing, and dong Turtleman impersonations “YeYeYeYe Live Action!” and the ride wasn’t even over. That was a tough leg and we were happy. We only had 70ks or so to go and we thought we were through the worst of it, we were wrong. Out on the F3 the wind whipped up to a gale and the rain was so hard that the drops penetrated straight through my goretex lined BMW Pro Summer gloves. At one point a cross wind almost picked up the 500kgs of “Road King and rider” and tossed me sideways the complete width of a lane. KL later mentioned she was so frightened by that moment (they got hit by it too) she nearly threw up. Trees had been blown off the sides of the rock walls onto the freeway, cars were stopped, a few pranged. On the Mooney Mooney bridge there were cars facing the wrong way, one with a trailer and traffic was everywhere. It was carnage! However, I picked a way through it all, with JP and Dave close behind and a few k’s from the twin servos the rain stopped. We pulled in and the SS1600K was done. Smiles, laughter, hand shakes, back pats, cheers… woo hoo! We didn’t need fuel, but we did need McDonalds. 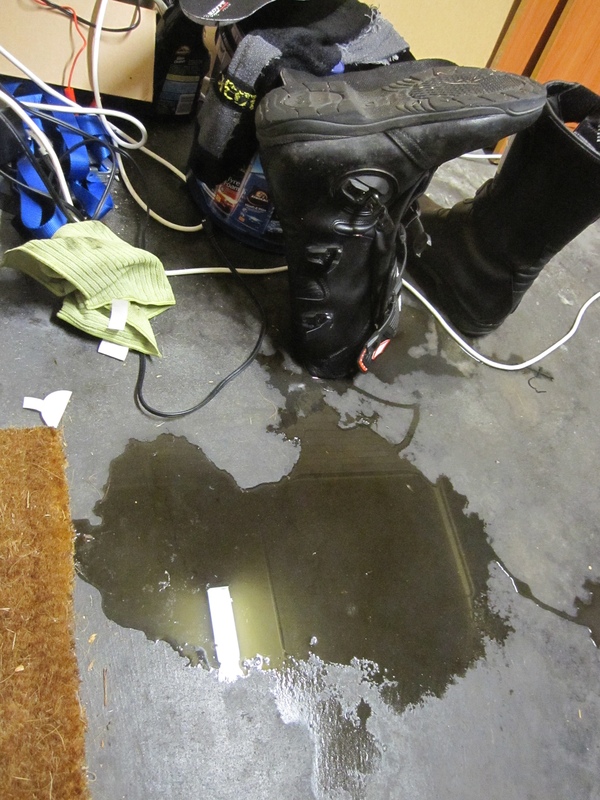 We took all our soaked gear inside, with our folders, receipts, gadgets dumped them on a table and settled in to finish the paperwork and sorted it all out while making puddles on the floor. We took photos, the other patrons must have thought we were mad! What a ride! Now we only had to get home.